Please make sure that you have completed your entry forms, a ticket order form for each person attending as well as a studio accounting summary and return those to us by our Registration Deadline: January 15th, 2017. Shortly after we receive your information, we will send you an invoice/confirmation. Please review and let us know immediately if we need to make any changes. Hotel reservations: To reserve your room online, please visit our website, http://marylanddancesport.com/hotel/ or if your prefer to book your room by phone, please contact Lord Baltimore Reservations at 1-855-539-1928 and request the Maryland Dancesport group rate! Group code: 0202201700 You must make your reservations before January 15th, 2017. Reservation requests made after the deadline will be based on availability at the hotel’s prevailing rates. All participants will be responsible for their personal room charges. Please Note: Package orders do not include hotel. Competitor numbers may be picked up from the registration desk. 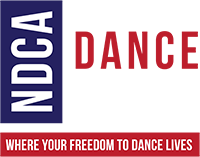 If you are a professional dancer or an amateur couple, you must have proof of your 2017 registration with the National Dance Council of America. If you are not on the NDCA roster and do not have a current card or a receipt showing you have paid for a current registration, you will be required to register at the competition or you will not be allowed to compete. Seating will be according to packages and the date of the order with preferred seating going first to package holders with balances paid in full. All seats in the ballroom are numbered and match ticket numbers. Seating is assigned when the tickets are ordered. Tickets ordered at a different time period may be for a different table or in a different area.